We are excited to announce that we have been selected as a Westgate Resorts Foundation grant recipient in partnership with our friends at Seminole State College (SSC)! 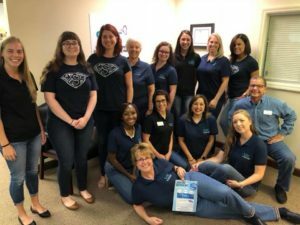 Westgate challenged its existing 31 Central Florida grantees to collaborate to create innovative new ways to fulfill the Foundation’s mission of Strong Families | Strong Workforce. VSC’s Character Development Educator will be located on the SSC campus and will provide active bystander training to the students in an effort to prevent sexual and domestic violence, and keep students on track to receive their degree. One in 5 women and 1 in 16 men will be victims of sexual violence while in college. Violence can have long-lasting negative impacts. Through this program, we will educate students- a particularly vulnerable population- and give them the tools to prevent violence before it occurs. We were thrilled to kick off the program at SSC! On Friday, August 18, 2017, our team presented to 70 student athletes which included a pre- and post-test to evaluate the effectiveness of the training. 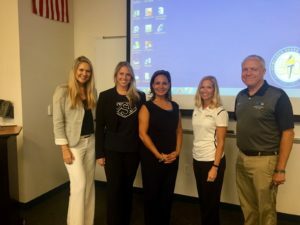 We appreciate the support of Westgate Resorts Foundation and are looking forward to collaborating with SSC this year to change the lives of their students.